I’m writing as what has possibly been one of the most stressful weeks of my life draws to a close. To be fair it has been a pretty rough few months. Like many, I will be glad when the days get longer and warmer as we know how much a difference that makes. Amongst other things I have had some pretty heated arguments with my OH, which has left me in a bit of a spin. I am sure I’m not the only one who has had heated words about the time spent with horses and the financial & family implications this has. I hasten to add this wasn’t the whole reason for our argument but it was one area which came up in our heated exchanges. Familiar exchanges like ‘the horses were here before you came along’ vs. ‘your family should come first’, ‘my horses need me to care for them properly’ vs. ‘how much are they costing you’? I am sure that many of you reading this have heard some or all of these comments at one point or another. It led me to wonder if other sports are the same. Do keen amateur tennis players get accused of spending hours playing, go golfers get chastised if they spend literally thousands on kit? I can’t give an answer to this but it would be interesting to know. I think anyone owning a horse accepts it as a lifestyle decision; it just happens that the rest of their families have to go along with it too. As the argument simmered, and the ranting stopped the conditions were laid down… one got me thinking… ‘I don’t think you should take your competing so seriously’. It was one of those statements that made the conversation that followed blur as I pondered over what was actually being said. Taking it too seriously. What did he mean? Have I been just a little too fastidious mucking out? Was the yard just too clean and tidy, my tack always grease free and shiny, the horses polished for just too many hours a day? After some introspection and a few more choice words I got to the point. It was all about being slightly more casual across the board. Enjoying my horses but not letting their upkeep become a mountain of work, having pleasure in my chosen hobby and above all heading out with a competitive frame of mind not a stressed one. I have been mulling this over all week. It’s true I work hard to make sure everything is tip top. I don’t feel right cutting corners; I have really high standards and don’t stop until the job is done. But does my riding and enjoyment suffer because of this? I think the answer is possibly, but the jury is out for now as it is something I am mulling over (I overthink things too which is another flaw). The question is do I need to spend hours when things can be done well, leaving me time for a family life outside of the yard? Can I go to competitions not feeling like it is all that matters? Can I not beat myself up if I can’t make a training session as planed? I wonder if I am alone here? From what I can see it seems that appears amateur riders are taking a more ‘professional’ or absorbed approach to their training, their kit, performance and how they care about their horses. In many ways this is a positive thing, there is nothing wrong with putting the effort in. But at what cost, both financially and in terms of personal pleasure? I’ve spoken to a few riders recently who are really concerned about competing, beyond what I would call normal pre competition nerves. Some are putting massive training pressures on themselves and getting frustrated when they feel things aren’t progressing. Others who are doing without to spend a fortune on kit that in honesty isn’t really going to improve performance, or comfort but they feel they need it to compete well. Don’t get me wrong, I love beautiful kit and will never scrimp where safety is concerned but getting into debt over a hobby just adds to the pressure to perform. So where do I go from here with the season looming? I’m not really that sure. I think I need to edit things down. Look for what’s important to me, the fun stuff, the things that put a smile on my face, make me LOL with big fat capitals. Above all just enjoy my little horse; she’s there for me as much as I am there for her. And above all just chill out… you cannot be serious? Erm… yes I can! I’ve been quite tardy about blogging here for the past few months. It really does seem that life, work and babies have taken over (note that I include horses in the ‘life’ bit as they are a major part of that). 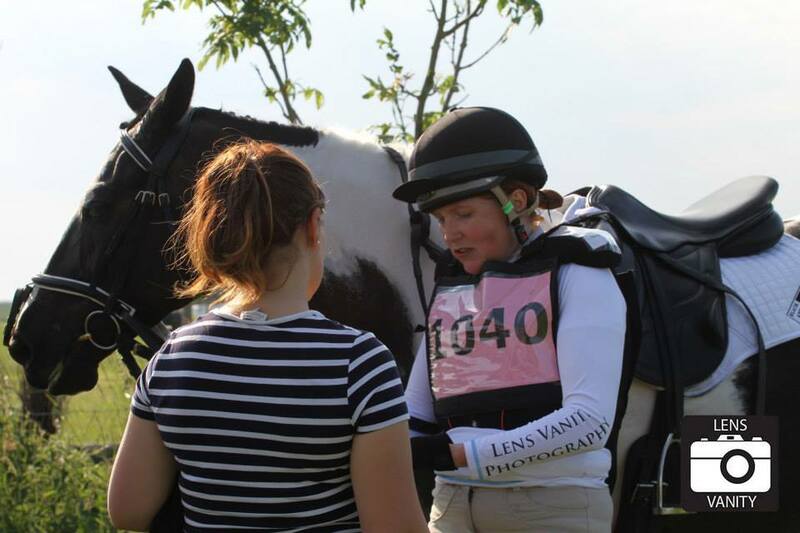 I’ve also been writing a bit for Eventing Worldwide and a new project which hasn’t been formally launched yet. Eventing wise we had a great run at Burnham Market, My first BE 100 this season to come 8th which I was thrilled about as it was very competitive. Six days later we ran at Milton Keynes and I really struggled with nerves, but still got a double clear; although a load of time faults which knocked us out of contention. Following this we went to Rockingham, an improved dressage (lying 5th), but a very flat SJ round, on holding ground to have 2 down. 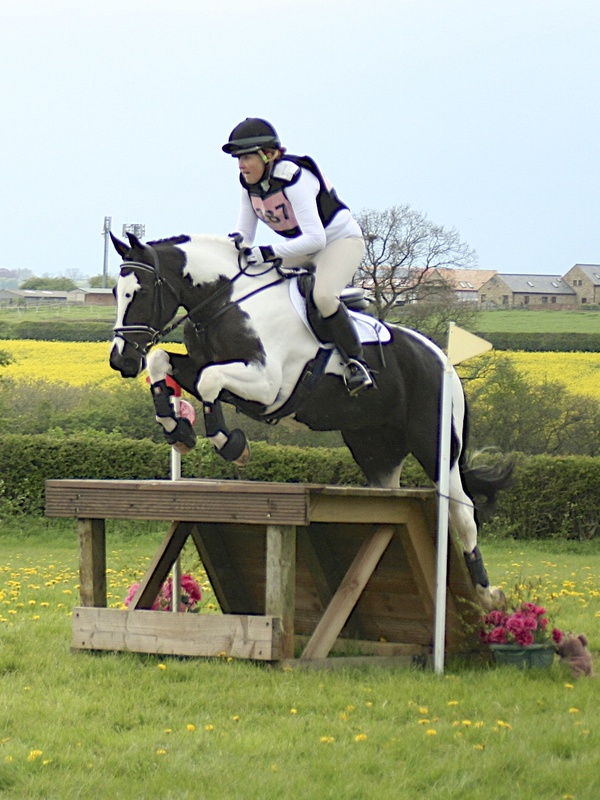 Wanda felt very low that day and not her usual uppity cob character so we decided to withdraw from the XC as it was up to height and I was concerned she wasn’t on peak form. Within a day she was back to her old self but I’ve been unpicking our performance a little to work out why I haven’t been so confident of late. 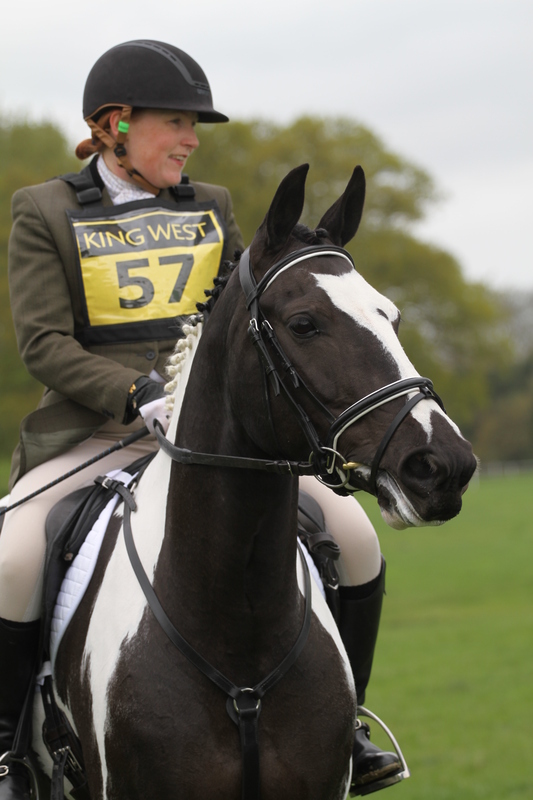 I’ve written a lot of detail in an EWW blog which will be published soon so won’t cross over into that, but in sum I think my private life as really had an impact on my riding and enjoyment of eventing. I’ve been trying to get divorced for the last 3 years and it really has taken its toll on me emotionally and physically. I just feel worn out. Add to that raising 3 kids under 6, and one who is 10mths plus work and I’m pretty frazzled. But riding is my sanctuary and it’s not something I’d give up lightly; although things did get that bad a few weeks ago I thought I might need to. So how do I work through this? Well I had a little break from riding Wanda for a couple of days last week and headed off to Badminton Horse Trials to meet some friends and also spent the weekend reporting and blogging in the media tent. Possibly the most tiring thing I’ve done in a while but somehow it really restored my batteries and made me realise just how much a big part horses play in my life. I’ve also been having some help from Jo Davies, who is a sports psychologist. www.jdpsychology.co.uk Over the phone we have talked about my nervousness and confidence issues, developing some really tangible ideas that I can use when out competing. I really want to knuckle down and work through these ideas as I feel very positive that they will help to make my eventing so much more stress free. Today I’m back in the saddle after my mini break and decided to have a little jump and see how I felt. After one or two pops I was really back into the groove. So much more relaxed and Wanda was really taking me into the fences. I definitely didn’t have the handbrake on. For the first time in a little while I had a real sense of achievement and a little high. I’m hoping this isn’t a false dawn but today was a good one and I’m now getting excited for our next event at Little Downham. Hopefully I will be Kicking on!